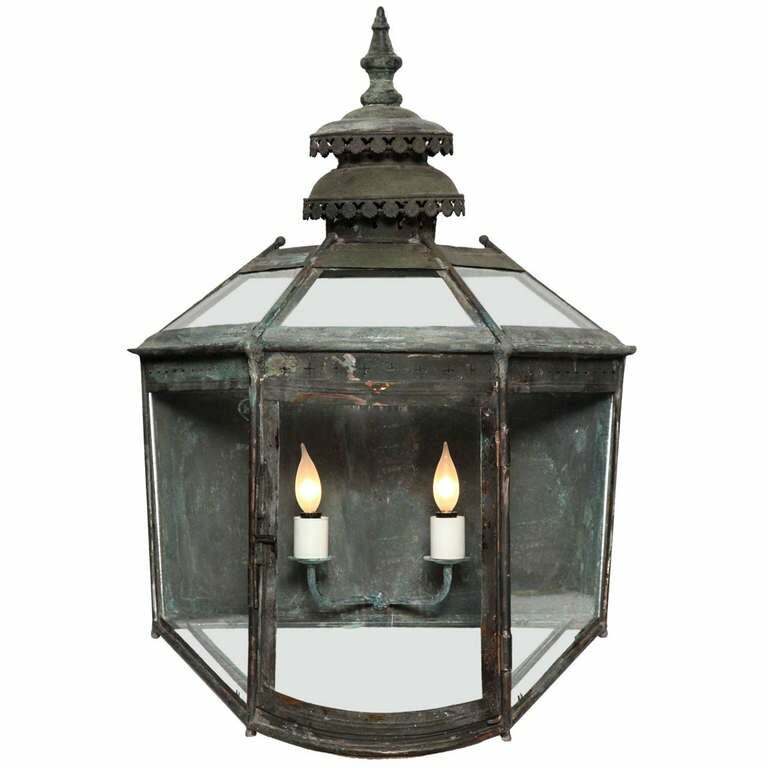 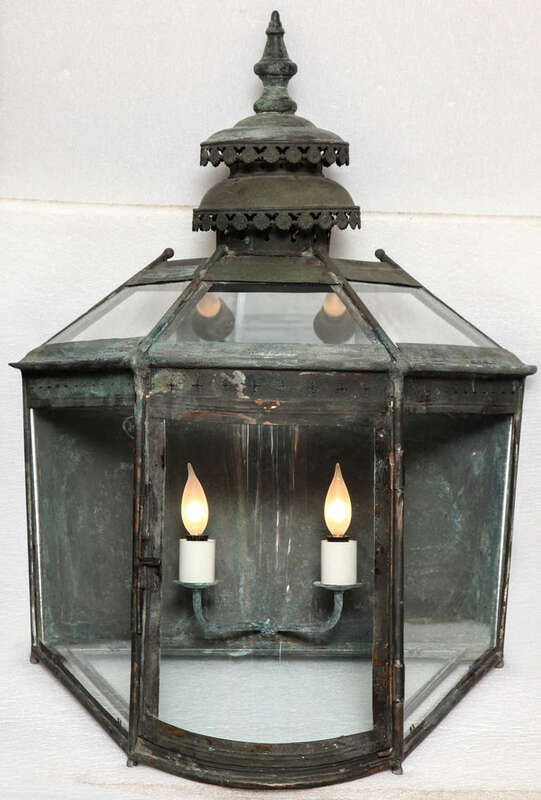 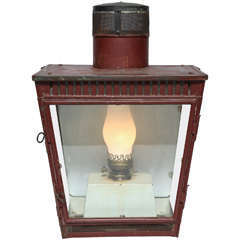 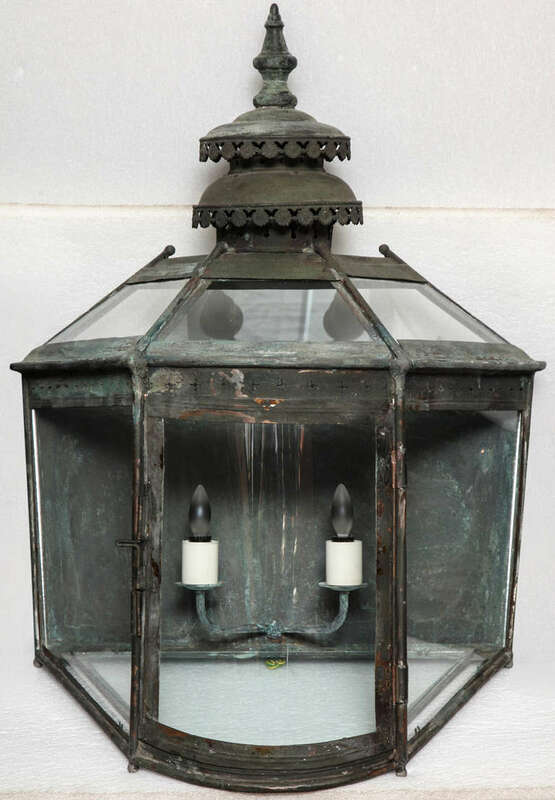 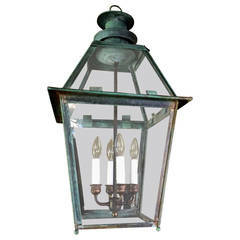 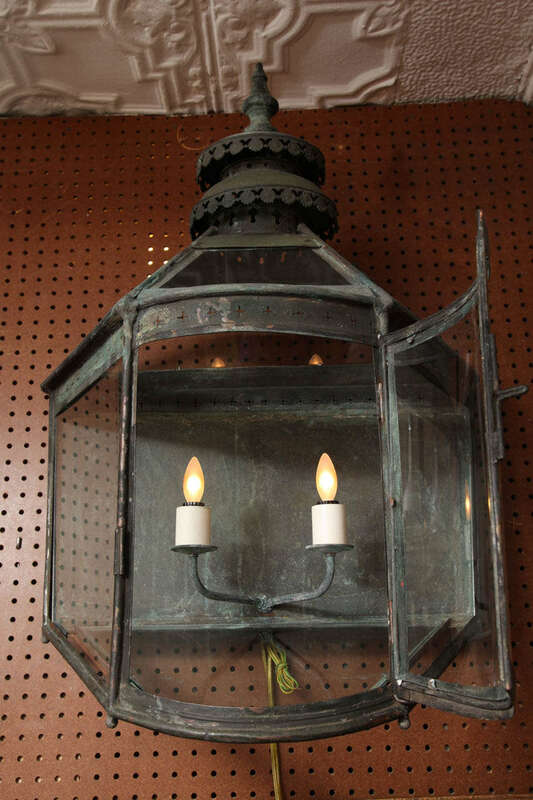 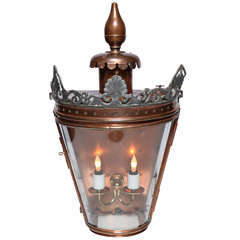 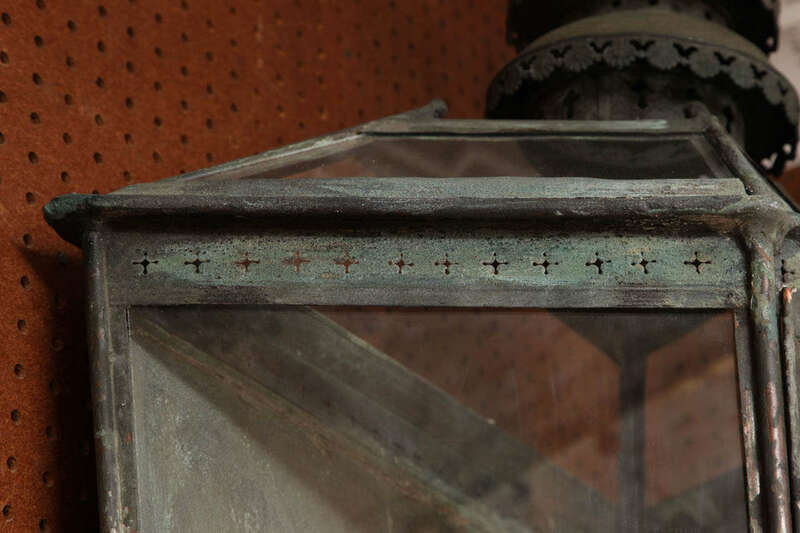 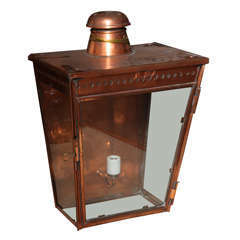 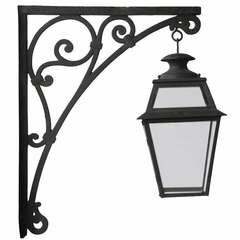 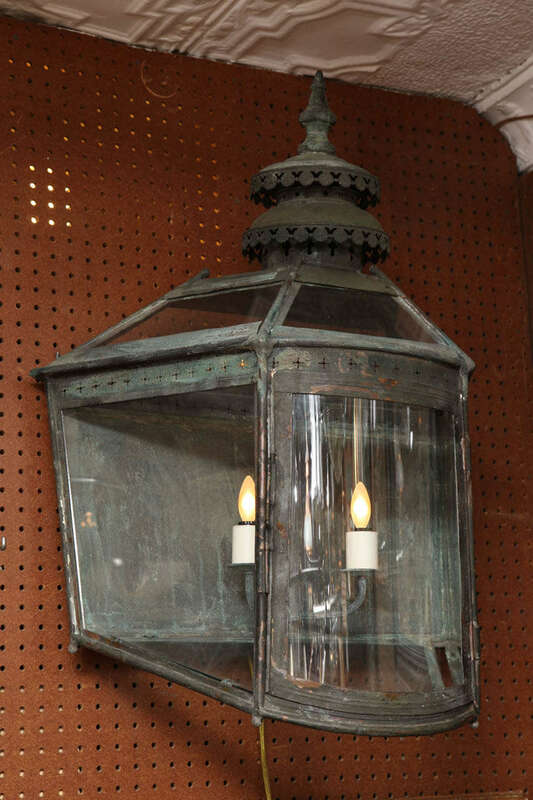 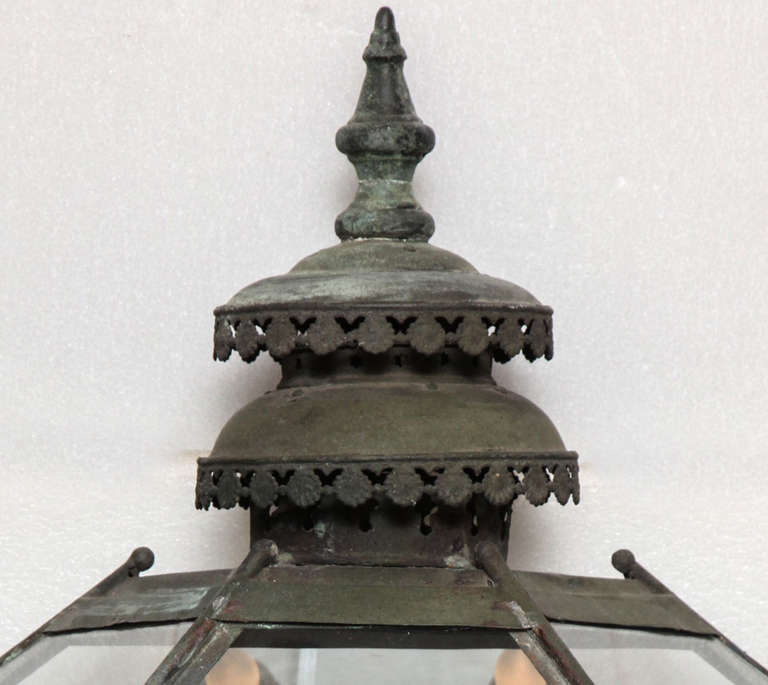 19th century large copper lantern French copper lantern, circa 1880 with original glass. 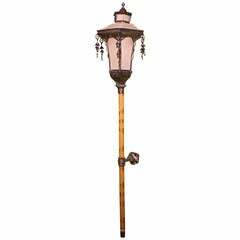 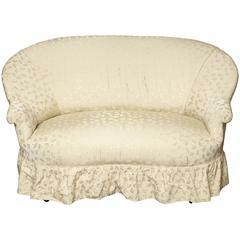 Measures: Height 41" diameter 18" Ea533. 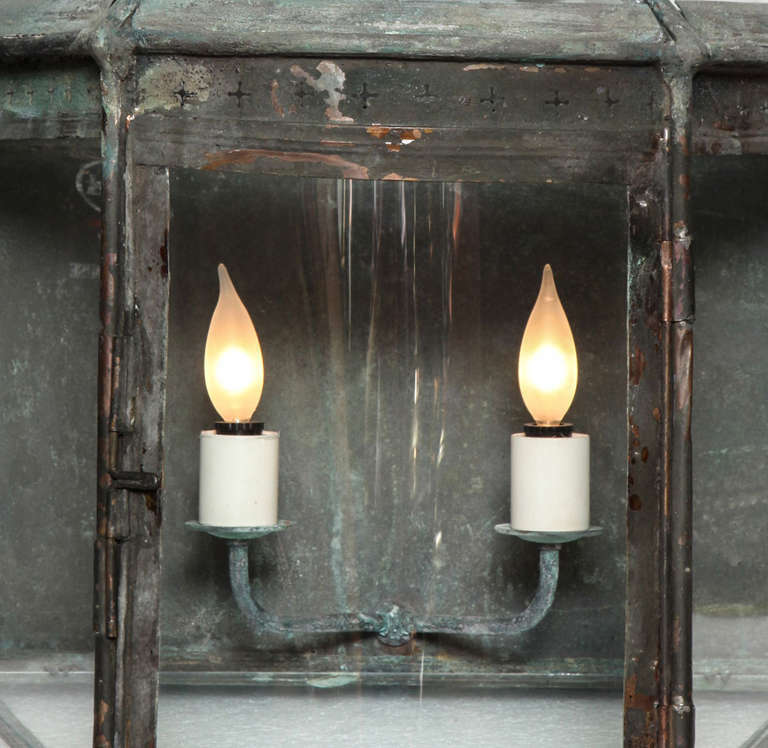 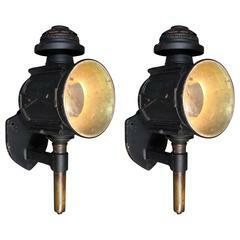 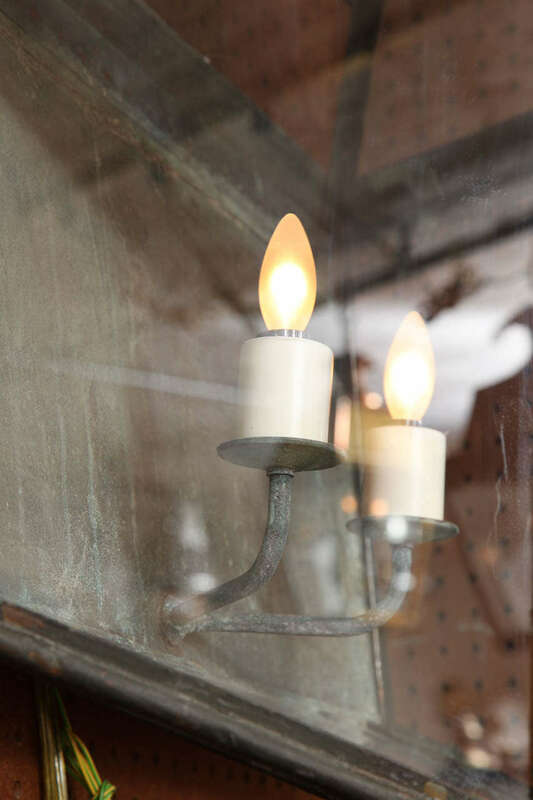 Pair of 19th century carriage lights or lanterns.